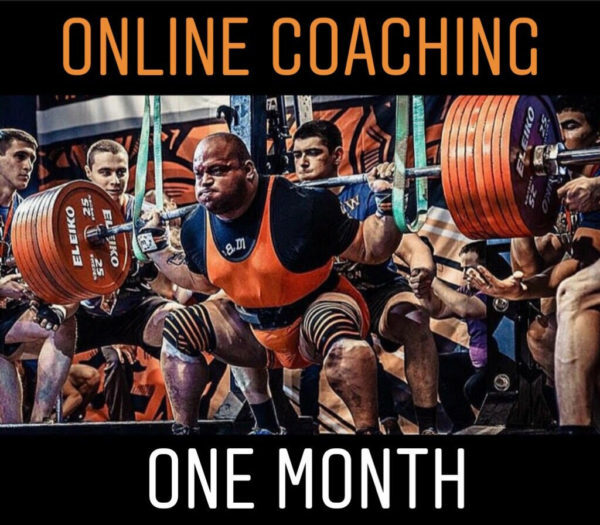 1 Month of Online Powerlifting Training and Coaching – For one month I will perfect your form and technique, provide you with a detailed workout program and recommend a nutritional plan for you tailored to your goals and what you want to achieve in the gym. What improvements can you expect in 1 month? Once you purchase a month of training with me you will also receive all Workout Programs & Nutritional Guides. 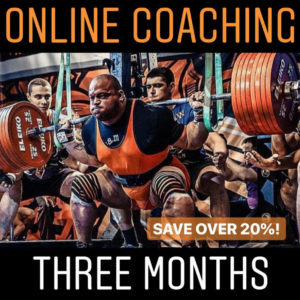 We will develop a training program for the next 30 days to develop a solid foundation for all your future lifts in the gym. 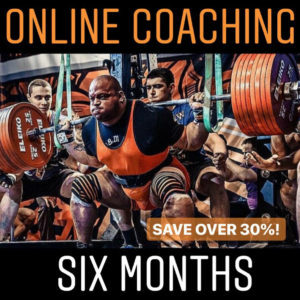 This program is ideal for those just looking for more guidance on the different cycles I provide on my website.